Why is Benchmark the #1 Real Estate Search? Every Listing, fast updates, EASY-TO-USE search interface! 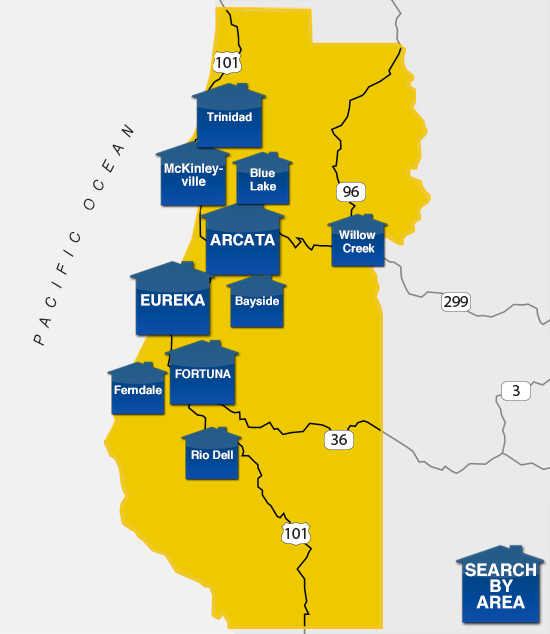 The entire Humboldt County Multiple Listing Service can be viewed and searched from here. We will do a market analysis of your property for FREE. We are available for one-on-one assistance. Our Agents have a combined 100 collective years of experience -- we are the Humboldt real estate experts. Sign up for more information about a property and we will automatically send you updates when the prices drop! Find a Real Estate Expert Near you! Humboldt County Real Estate Experts are found at Benchmark Realty Group; in the Redwood Forest next to Pristine Beauty of the Lost Coast. Let Us Show You Why We Have Been Recognized as Best of the Best again and again. Not just setting the standard, we are the benchmark of excellence in the real estate field. We are a locally owned, independent, full service real estate company. Newest Humboldt Homes for Sale!